Joan F. Neal is an independent organizational development consultant specializing in strategic planning and leadership development in the Greater Washington DC area. 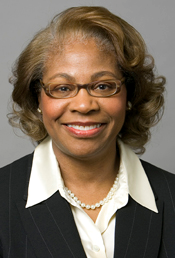 Formerly, she served as Vice President, Institutional Planning and Effectiveness and Chief Planning Officer at Cabrini College, in Radnor Pennsylvania, where as a member of the President’s Cabinet, she led and oversaw key institutional strategic and operational planning, alignment and effectiveness processes, Human Resources, diversity and mission integration. Prior to joining Cabrini College, Ms. Neal was Executive Vice President at Catholic Relief Services in Baltimore, MD where she founded and led CRS’ U.S. Operations Division, overseeing the agency’s outreach and engagement of the nation’s 14 million Catholics, directed CRS’ national public policy and legislative advocacy and as a member of the Executive Leadership Team, participated in overall agency management. Before relocating to the East Coast, she served as Associate Director of Leadership Greater Chicago, a leadership development program and network; Vice President of Public Affairs at Harris Bank and Vice President and Branch Manager at First National Bank of Chicago. Ms. Neal is a former Board member of Jesuit Refugee Services and currently serves as a member of the Board of the Mexican American Catholic College (San Antonio, TX), Life Trustee of Catholic Theological Union (Chicago, IL) and a consultant to the National Leadership Roundtable on Church Management as well as The Reid Group. She holds a Master of Arts in Pastoral Studies from Catholic Theological Union (Chicago, IL) as well as a BA in English from Loyola University (Chicago, IL).